Research shows that 95% of people who have lost weight find that they regain it back when they return to their normal eating habits. Obesity increases the risk of many chronic and potentially lethal diseases. Most of these diseases are preventable with attention to lifestyle factors including proper nutrition and regular exercise. The more body fat you are carrying, the higher the risk to your health. However, it appears that the amount of weight gained throughout the adult years also contributes to the risk. For example, a middle-aged person who weighs 10kg more than they did in their early 20s has an increased risk of high blood pressure, stroke, diabetes and coronary heart disease. 20,430 Australians had a cancer as a result of being obese (obesity causing 13% of colorectal and kidney cancers, and 16% of breast and uterine cancers). 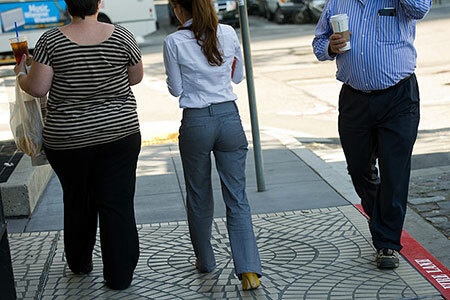 If that isn’t incentive enough to lose that excess weight statistics show that overweight people are usually given lower paying jobs, get lower salaries, receive little in raises, and are looked down upon by 40 percent of fellow employees and employers. Obesity costs Australian taxpayers an estimated $3.75 billion every year in direct health costs. Indirect health costs are harder to estimate. They include work absenteeism, production lost to premature death, and the hundreds of millions of dollars that Australians spend each year on weight management programs. Weight Management and Nutrition programs aim to raise the awareness of diet related disease and health risks, combat obesity, and promote good nutrition so individuals are able to take charge of their lives and look towards a healthier future. They teach you how to apply the necessary principles to a healthier eating pattern and lose any extra kilos in the process. There are many ways to lose weight, but it is not always easy to stick to an eating plan or even keep the weight off. The key to successful weight loss is making changes in your eating and physical activity habits that you can keep up for the rest of your life. Your own personal coach could make dieting a thing of the past. The Go for 2&5 campaign encourages increased consumption of fruit and vegetables. ‘Go for 2&5 ’ refers to the recommended minimum daily intake of two serves of fruit and five serves of vegetables for Australian adults. In NSW, half of adults (55% males and 42% females) do not reach the recommended two serves of fruit each day, and only 7% of adults (5% males and 10% females) eat the recommended five serves of vegetables. About a third of children do not eat the recommended serves of fruit and fewer than a quarter consume the recommended serves of vegetables. You can read the Cancer Prevention Plan by the Cancer Institute of NSW.